Movers and Shakers is a coalition that executes direct action and advocacy campaigns for marginalized communities using virtual reality, augmented reality and the creative arts. Glenn Cantave is an activist, performance artist and social entrepreneur who uses immersive technology to highlight the narratives of the oppressed. Through his non-profit Movers & Shakers NYC, he organized a pop up slave auction performance piece/AR exhibit, ran the NYC Marathon in chains, and is creating AR educational content focused on highlighting the narratives of marginalized communities. He is also the Creator, Executive Producer of We the People, a 360 documentary focused on activism in the age of Trump. His team has documented the actions of several New York based activist groups and captured footage from events such as the Trump Inauguration, Charlottesville Riots, and a White Lives Matter Rally in Tennessee. He is a TED Resident, incoming artist in resident at Eyebeam NYU Something un Residence and a member at New Inc, an arts/tech incubator with the New Museum. He will be speaking about his work at TEDx in Ghent, Belgium this December. Idris is an innovative and passionate individual who uses his technical and creative expertise to disrupt traditional narratives through immersive experiences, all the while empowering others to do the same. His background is in Cognitive Science, Computer Science, and Education. As a creative technologist, Idris has experience spent the majority of his time focusing on blending his work in social activism and immersive media. 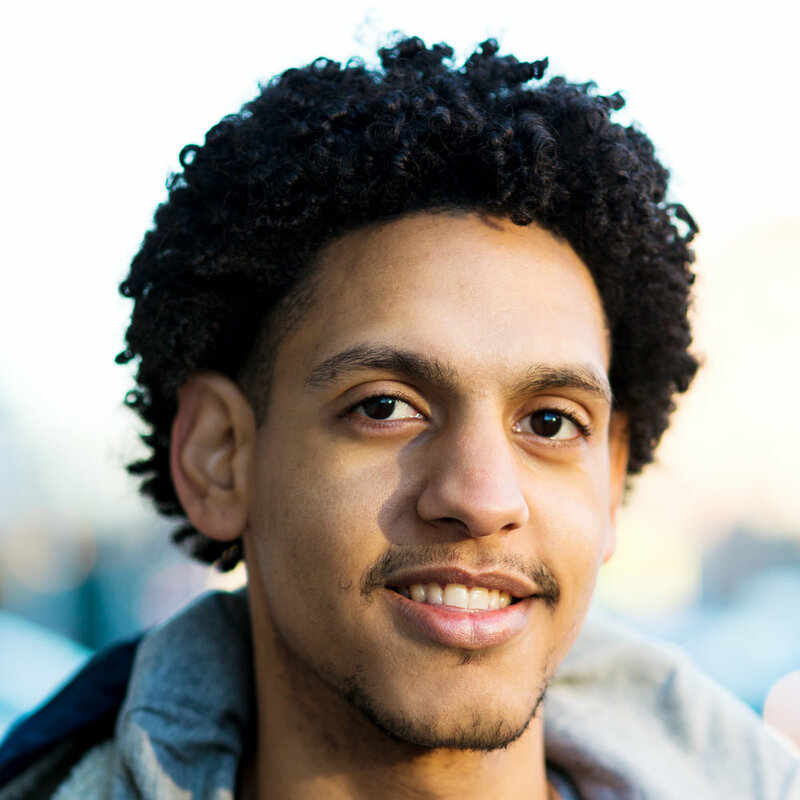 As an educator, Idris worked for Google, developing an educational program called Code Next that exposes black and brown youth to the world of computer science, allowing them to have the tools to build their own future. Idris's other passions include hip-hop production and filmmaking! He was the subject of the documentary, "American Promise" winner of the Special Jury Award at the Sundance Film Festival. My artistic practice is my life, which translates to a sincere dedication to my work. One of the goals I set out to accomplish at the onset of every project is to push the limits of my technical skill set, either through experimentation or polishing a technique I’m familiar with. The end result of years of this practice is one of the more diverse portfolios you’ll find. I’ve been able to showcase this diversity best on my Instagram account @micahnotfound where I’ve seamlessly tied together a wide range of illustration styles into one sprawling mural, made up of over 350 individual posts. The project has garnered widespread media attention and amassed over 30k followers. I'm a City College graduate with a Bachelor of Arts in Digital Design and an AAS in Graphic Design/ Illustration from Kingsborough Community College. In school I have developed a deep interest in animation and illustration would to continue to grow in this direction. I've been working as a freelancer for 2 years, and as so I work creating flyers, business cards, posters, book covers, menus, etc. I also create characters for my own personal projects and I will like like continue to create innovative designs and characters in the future. I'm an experienced artist with great knowledge of drawing, painting and the adobe suite, specifically Photoshop, Illustrator, Flash and Indesign. I also create 2D animation using Adobe Flash and Toonboom, Sculptor and 3D modeling / animation. I'm a born storyteller and my passion is to create characters and stories that people can relate to. I'll like to continue creating projects that will help me expand my skills and exceed my limitations. Delfina is a marketing and media relations coordinator, as well as an artist and a 3D printing engineer. Raised in downtown Manhattan all her life, She takes inspiration from her Indigenous and Jewish heritage and channels it through her artwork and photography which has been shown in various galleries throughout NYC. She will be attending school in the fall minoring in Ethnic studies and Majoring in Political Science. She hopes to use her voice to bring awareness to indigenous issues and to decolonize our school systems and physical spaces. Shay Banerjee is a New York based attorney focused on the areas of emerging technology, complex litigation, human rights, and enterprise risk. As an attorney, Shay specializes in data protection and cybersecurity, blockchain and financial technologies, and operational issues affecting emerging enterprises. Shay also provides pro bono services for various groups including artists as well as immigrants negatively impacted by the policies and practices of the U.S. government. As an activist, Shay is passionate about combating social injustice and enabling positive change through the use of new technology. Troi is a member of the NAACP and Movers & Shakers. While at Spelman College she studied Economics and participated in voter registrations, marches and diversity forums. She has been a voice against discrimination and hopes to use her platform as a consultant at a technical firm to help educate minority children on their history and seizing their future. You can choose to join the mailing list to stay informed of upcoming events and important news about our progress on the project, or you can send us an email below.